In the breathtaking jungle views and sandy beaches of the island of Bali we dive deep into the therapeutic benefits of the ancient practice of yoga. Weaving together fine-tuned alignment, adjustment and assists with the subtle art of yogic energetics, this 100hr Yoga Alliance-certified course, offered over two stunning locations, is designed to explore the nature of yoga as a holistic healing tool. With internationally acclaimed facilitators Cher Joy and Jiya Julia Randall, this training will advance your studies and guide your personal practice deep into the very roots of yoga. The Yoga as Medicine curriculum focuses on the expansion of awareness throughout the body, mind and spirit. Where our attention goes, our energy flows. By harnessing our concentration and placing it on the micro-adjustment of our body into its own sacred geometry, we unlock the natural healing power of our being. Teachings will be integrated into personal practice to foster an understanding built on your own discovery. Through precise alignment of the body, alignment of thought, word and action can follow, leading to greater focus and a deeper connection to our true life's purpose. 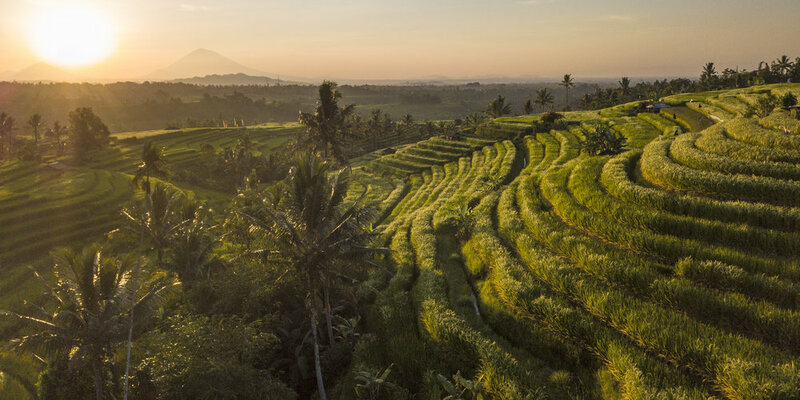 We will begin in the calm, mountain jungle immersion of Batu Karu Retreat, taking time to connect to ourselves, the group and the sacred island of Bali. From there we move down to the coastal retreat of Kura Kura, to dive deep into workshops and personal practice in the ocean air. Experience what it feels like to truly feel the natural symmetry of your own body, learning physical and energetic anatomy from the inside and experiencing the energetic harmony that comes with deep internal balance. Using Intuitive Flow Consciousness as a guide, we will journey through the holistic alignment of the self, from the physical benefits of balancing the system through to what it means to replenish through alignment with your passionate purpose in this life. Early Bird Offer! Sign up before January 24 and receive $200 off tuition! Bring a Friend and each recieve $200 off tuition! Through this innate understanding, you will grow to better understand how to help another, whether it be through building a tailored practice or assisting with an injury. Using a variety of traditional and modern practices, you will learn how to improve digestion, cleanse the system, rebalance asymmetry, deepen meditation, work with depression & anxiety and know how to adapt postures for practitioners of all abilities. Complementing the teachings are the shamanic tools of ceremony, sound and visualization, along with the power of Bhakti yoga to guide a deep inner exploration. Experience the harmony that comes with the activation of your energetic awareness, through clearing blockage and grounding yourself in a well-balanced body. Join us on the sacred lake of Guatemala and unlock the healing potential of your own body and mind. Free up life force within yourself and step back into your natural state of flow. Discover the true medicine of yoga. This course is intended for yoga teachers or those with a good understanding of yoga who are looking to go deeper, establish a personal practice and share that practice with others. Curriculum is balanced between guided sequences, personal practice, detailed workshops, group circles, peer teaching exercises and your unique experiential journey. Graduating participants will be given a certificate of completion, which can be used to log Yoga Alliance hours. This course counts towards your Kula Collective 300hr Module Format training. Discover the richness of stunning Bali, through the stunning island-wide views of Batu Karu and the quaint seaside retreat of Kura Kura. 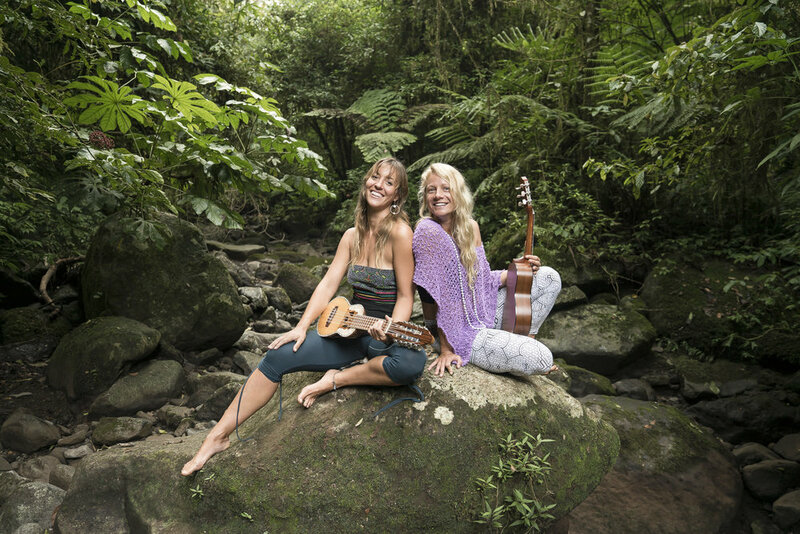 Internationally-acclaimed facilitators Jiya Julia Randall and Cher Joy have many years of combined experience training yogis and teachers and leading groups in transformational work. Both have a solid experience assisting with a plethora of different needs as well as healing their own bodies through a tailored therapeutic practice. Jiya is a talented and vibrant leader, with deep connection to the energetic subtleties of yoga. She is known for her patient and clear teaching style, creative expression and beautifully evocative classes. Cher has a strong background in Iyengar yoga and places breath as the main focus of practice. She balance many years of experience in traditional forms of yoga with a fluid embrace of somatic movement and flow. Together they create a powerful and informed team who unite in their passion for utilizing yoga as a therapy. Their harmony both as individuals and together is evident in their effortless weaving of the teachings with music, somatic movement and ceremony. With both having many years experience teaching YA yoga teacher trainings internationally, Cher and Jiya are accustomed to going deep into the analysis of posture and the integration of committed practice to life. Through precise alignment of the body, alignment of thought, word and action can follow, leading to greater focus and a deeper connection to our true life's purpose. Their classes are presented as holistic experiences, allowing inner harmony to radiate outwards to balance in the body and in the life. Batu Karu Retreat is a secluded coffee estate and retreat up on the sacred Batu Karu mountain, surrounded by jungle and beautiful 180-degree views of Bali and Volcano Agung. The space was built as a family home and is offered as such, with meals eaten together in front of the view and served by smiling staff . We stay in comfortable, open-air rooms, share sweet, open fires in the kitchen, lounge and yoga space, and practice to the sounds of the jungle. There are two friendly and well-behaved dogs on the property, and there is intentionally no internet here to encourage reconnection to the group and the self. It is the ideal place to quickly build very strong bonds within a group and facilitate deep transformation. Batu Karu brings each visitor in close contact with the land and the processes involved in bringing our food, water and spirit to our daily experience. This is an extremely healing venue; the water comes straight from a spring in the sacred mountain and is as clean and life-giving as is possible in this world, and the food is rich with prana. The atmosphere invites internal exploration and reconnection with the land and with spirit. This is a unique place be served by groups who come in alignment with its intention and environment. Each person who comes here expresses a desire to stay in this peace for longer and we have many cases of deep self-discovery and restoration happening as a result of the nurturing location. 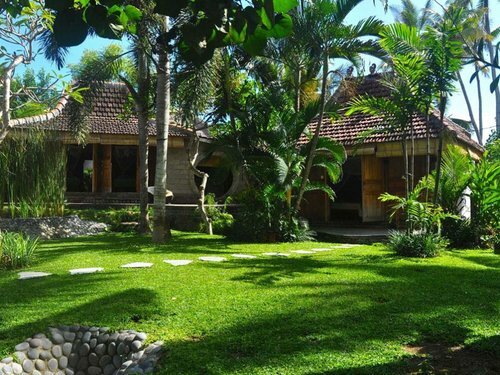 Kura Kura Retreat is situated in a tranquil and secluded environment, nestled in a beautiful tropical valley in the heart of Bali, far away from the crowds of tourists, and just 50 steps from the beach of Seseh. The center is located in a traditional fishing village, untouched by major tourism but close enough to the shops and buzz of Seminyak and walking distance from Echo Beach, a famous Bali surfspot. Life at Kura Kura invites you to rise to the song of the birds, walk the beach, watch the waves and lose yourself in amazing sunsets. The elegant simplicity of the cottages gives a feeling of both being away and coming home. This intimate resort offers an oasis of serenity, a sanctuary for the body, heart and mind.